Milk packaged in flexipacks at Belagavi District Cooperative Milk Producers’ Societies Union Ltd (Bemul) will now be exported to Andhra Pradesh. Bemul plans to export 20,000 litres every day for distribution among kids, in a government programme. The Karnataka Milk Federation(KMF) has already become a regular supplier for the Ksheera Bhagya scheme in the state, and in addition, has taken the responsibility to meet the requirement in Andhra Pradesh too. Milk packed in flexipacks has a shelf life of 90days out of the refrigerator. Although there was a demand, it was not able to export milk to other states as it did not have a modern packaging unit. India was re-elected to the Council of the International Maritime Organisation under Category B at an assembly of the body at its headquarters in London. Indian High Commissioner to the UK YK Sinha represented India at the assembly where India secured the second-highest number of votes (144) from member-countries, just after Germany’s 146 and ahead of Australia’s 143. The other countries to make the cut included France (140), Canada (138), Spain (137), Brazil (131), Sweden (129), The Netherlands (124) and the UAE (115). In London “Lipstick Under My Burkha”, which explores women’s sexuality, has bagged a top prize at the time Global Sustainability Film Awards 2017.”Lipstick Under My Burkha” is produced by Prakash Jha and directed by Alankrita Shrivastava and stars Konkona SenSharma and Ratna Pathak Shah. The Founders Award for Sustainability on the Big Screen was introduced this year and sponsored by philanthropist Surina Narula. The time Global Sustainability Film Awards was launched in 2012. It is an annual film competition for companies and institutions, recognising those whose films most powerfully portray solutions for sustainability. Google launched Datally App to understand, control and save users mobile data themselves. 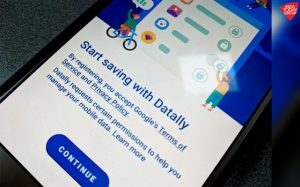 Datally App available on the Google Play Store will enable users to track their data usage in real time and get personalized recommendations on saving data along with notifications of nearby available public Wi-Fi spots. Turn on the Data Saver bubble to block background data usage and track real-time data usage.You can also block data with one tap if an app’s data usage gets out of control. The word ‘populism’ has been announced as Cambridge Dictionary’s Word of the Year 2017. The dictionary defined populism as “political ideas and activities that are intended to get the support of ordinary people by giving them what they want”. It said searches for ‘populism’ rose when Pope Francis made statements warning against its rising tide. Miss KoreaJenny Kimwas crowned Miss Supranational 2017 on Friday in Poland. Tica Martinez of Colombia and Bianca Tirsin of Romania were named the first runner-up and second runner-up respectively. The Union Cabinet chaired by Prime Minister Shri Narendra Modi has approved setting up of National Nutrition Mission (NNM) with a three year budget of Rs.9046.17 crore commencing from 2017-18. The NNM, as an apex body, will monitor, supervise, fix targets and guide the nutrition related interventions across the Ministries. The programme through the targets will strive to reduce the level of stunting, under-nutrition, anemia and low birth weight babies. Former journalist and author A. Surya Prakash has been appointed as the chairman of the public broadcaster Prasar Bharati for a second term. Prasar Bharati runs Doordarshan and All India Radio. Prakash, who has been at the helm of Prasar Bharati for three years since 2014, retired earlier in October. Miss World 2017, Manushi Chhillar was awarded the Indian of the year special achievement awardby Minister of Finance and corporate affairs, Arun Jaitley at a recent event at New Delhi. The beauty queen was given the award for her historic win at the Miss World pageant. She was greeted by Star cricketer Virat Kohli who congratulated her on her success. Seventh edition Kathakar:International Storytellers Festival was held at Indira Gandhi National Centre for Arts (IGNCA), New Delhi. It was inaugurated by Minister of State (MoS) for Home Affairs Kiren Rijiju. The partners for this edition of three-day festival are IGNCA of Union Ministry of Culture in Delhi, Heritage Transport Museum, Gurugram and National Centre for the Performing Arts (NCPA), Mumbai. It is special initiative, to promote the oral storytelling tradition which has existed across the world. It is only oral storytelling festival in India.